We are a dynamic solutions provider. What drives us over 20 years? People are the foundation of VSG and our greatest asset. We empower our people to be successful. 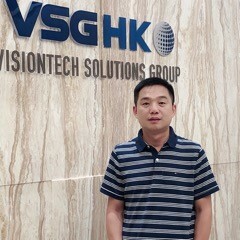 VSG is focused on established long-term customer and partner relationships. By providing industry leading, attentive and expeditious service. As true partners , VSG provides timely, clear, open and honest communications for long-term, mutually beneficial relationships. VSG is driven by technology. By making the right choices for overall design and quality improvements - especially on our customers bottom line.